4. Should I take my account private? 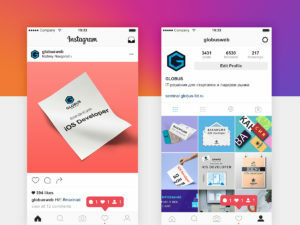 If your content gets shared between Instagram users frequently, for example, you post memes or recipes, taking your account private is the quickest and cheapest way to increase the number of your followers: if someone shares your post to a friend who’s not subscribed, the person will have to follow you to see the post. Plus, mystery and curiosity are great motivators: if you see a private account with several million subscribers you can’t help but wonder what’s on the other side, why the account is so popular. This strategy has been backed up by owners of several large accounts, many of them claim that their grows increased 10 times since taking the account private. Unfollowing a public Instagram account is simple: just tap “Unfollow” and you’re done. Unfollowing a private account is not much more complicated - the app just shows you a pop-up asking you if you’re sure that you want to unfollow a private account since it may not be easy to get back in. This simple question is enough to get most followers to stay. 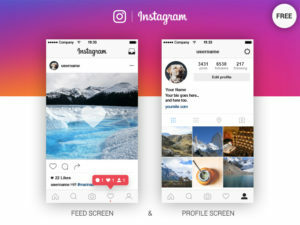 Since with a private account you can control who can see your content, this gives you more control over the ownership and privacy of your content, although if you have millions of followers it is simply impossible to screen and know everyone. On the other hand, having a private account allows you to block anyone and prevent them from interacting with your account in any way, you can’t do this with a public account. Should I take my account private? The short answer to this question is “no”. When you take an account private you can’t get on the Explore page anymore, and you can’t use any other means of discovery on IG. Unless you’re a huge account that posts primarily memes or other content that’s extremely shareable, you probably won’t benefit from having a private account. Luckily, you can switch between a private and a public account any time you want, so if you’re absolutely dying to go private - try it out for a week or two and compare the result to your normal growth.